Hello everyone! Thanks so much for the kind notes the last few weeks while my blog has been quiet and inconsistent. I've been in a 'funk' lately that I really need to snap out of! I have been trying and will continue to. One of the things I wanted to share with you today is one of the deals I found yesterday that I couldn't pass up! The Kaniwa you see above! It was the last box of its kind in the discount section of our local grocery store. If memory serves - it was $2.52 - most Kaniwa I've seen over the last year has been between almost $5 and $9. I will go ahead and say this will be the post that will start back up the MidWeek Munchies Weekly linky, however, there will not be an actual linky this week, but, I would love for you to participate so PLEASE be sure to link in comments! The difference between Kaniwa and Quinoa? Kaniwa (pronounced ka-nyi-wa) is about half the size of quinoa but otherwise quite similar. It's high in protein, fiber, iron, and calcium; has a nutty, slightly sweet flavor; and comes from South America (primarily from the Andes Mountain region of Southern Peru and Bolivia). It's also gluten-free like quinoa and just as versatile; use it in salads, soups, and stir-fries, or eat it for breakfast. 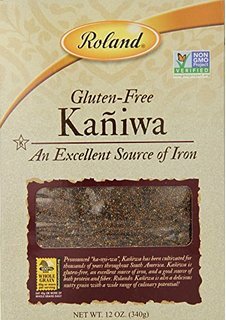 One way that kaniwa is different from quinoa is that it doesn't contain the saponins that give quinoa that soapy, bitter flavor (the saponins get washed away when you rinse quinoa, which is why you really shouldn't skip that step). This makes kaniwa slightly less fussy and perhaps just a touch faster to prepare than quinoa. Otherwise the cooking process is pretty much the same, though it's common to toast kaniwa in a dry pan to bring out its flavor before cooking. The reason this was on sale was because our former Bi Lo has officially turned into a Tops Market. The redesign is under way and it's quite the switch-a-roo! I LOVE it but a lot of people around here are complaining. Sigh. Very interesting and this looks great, always up for trying a new grain. I will look for on my next Grocery Outlet trip. Thanks and I hope everything is going good! I love finding new-to-me grains to try, too! I'm super excited because the same store has a nice sized section of Bob's Red Mill products that I have been wanting to try! I'm so glad to see this post. I'm glad you're still around, I was wondering. I understand the funk. It's hard to pull yourself up, especially in the winter. It's very interesting that you found the oil and spray when you did. Some people blow that stuff off, but i think there is something to when things happen in your life. I have never even heard of that grain before! Eventho this winter has been mild with the exception of TODAY I just don't feel like myself during the winter! Summertime ROCKS! OOps, the oil comment is for your post above, I read them both and then commented here. I've never even heard of Kaniwa, but it sounds nifty! I love trying new grains as well. I love hearing about new grains!!!! 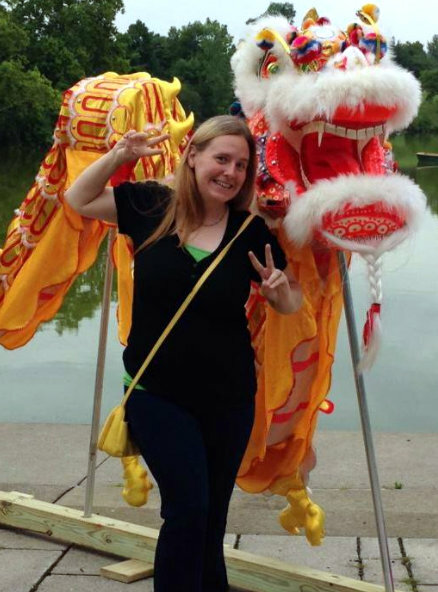 Thanks so much for the note and visit! I hope to be back very soon! Maybe even today if possible! Ooh a new gluten-free grain to try. I'm not sure I've seen it around, I'll have to keep an eye out for it. Don't apologize for anything. And don't try to shake your funk off too much. I sometimes find when I embrace my funk and fully live in it, I nurture myself more and it passes more quickly. Thanks girl!!!! I'll be over to catch up on your blog soon! It's been a busy winter for all of us. So glad to read your yummy posts! I have to get caught up on my Midweek Munchie posts too.